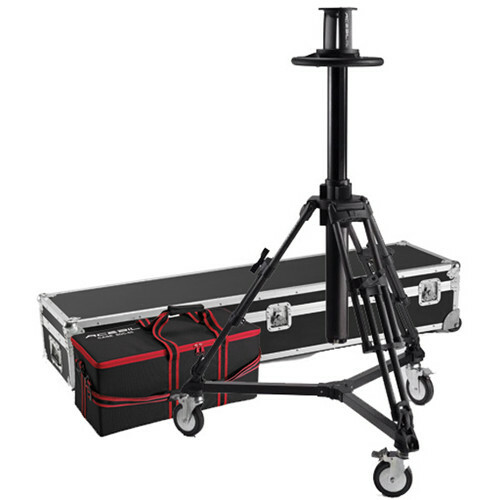 The Acebil PD3800 pedestal with adjustable air pressure / D-5 dolly / and carry cases is a complete high-performance pedestal, head, and dolly system that sets up with ease in minutes. Just unfold the pedestal legs onto the dolly, attach the head atop, and you're ready to go. The pedestal is built with an adjustable air pressure column for versatile, consistent reliability and with a column lock knob on the middle spreader to provide you with secure stabilization for extensive shooting.